This week I was invited to a very different and very cool take on a beauty launch event. Don’t get me wrong the majority I attend are lovely in their own traditional way, offering lovely drinks and eats and opportunities to experience or view the new products – but in taking part in this one we had the ability to learn (or begin to) a new skill and ignite a passion for something new. 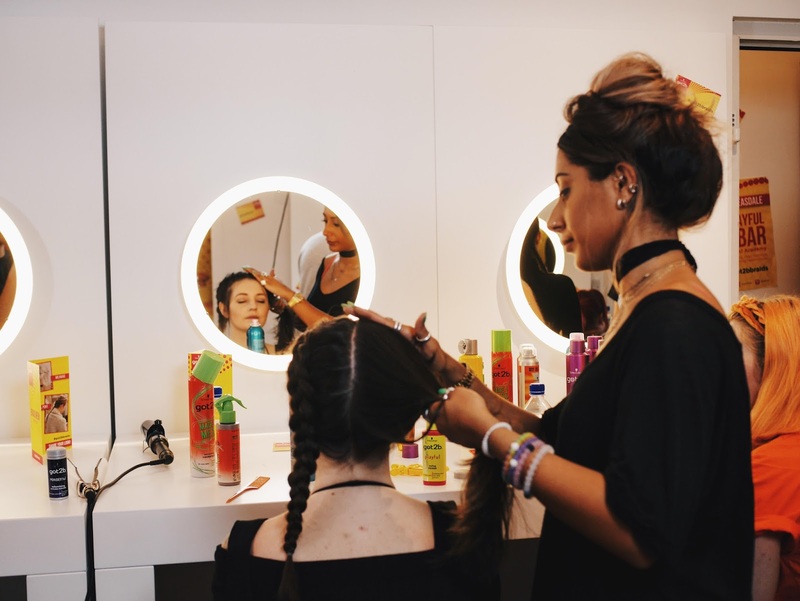 As well as getting our hair braided by beauty icon Lou Teasedale or some of Bleach London’s finest stylists, we were able to take a mini DJing lesson or learn how to write music using Logic thanks to the SUBBASS tutors (UK’S LEADING ELECTRONIC MUSIC ACADEMY). Before I talk about those experiences though let’s talk about the product that this event was in honour of. 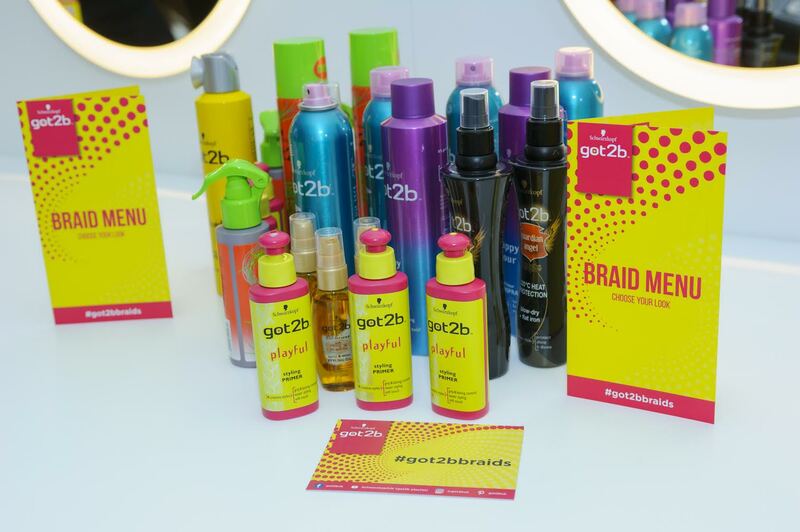 New got2b playful styling PRIMER is the latest styling saviour from got2b, providing hair with grip and lasting control. In short it means that those fantastic, intricate or time consuming you or your stylist has put the effort in to creating will last a whole lot longer. It’s the same concept as a make up primer, providing the foundation and staying power while leaving hair soft to the touch. It helps to tame unruly locks, thus making them far easier to style, while providing hold to ensure your chosen looks looks at it’s best all day and night. To use this product you simply work it into damp or dry hair and then style as you so wish. So as well as the music education there was a karaoke section of the event…which I of course avoided. As a non drinker I’ve only just about got used to getting comfortable on night’s out and in karaoke bars with my close friends, but to inflict my voice on strangers while sober, is something I just wasn’t feeling pepped for. Other guests and team members of Chalk PR seemed to be having a whale of a time though! The last time I attempted to DJ was about 15 years ago. A school friend of mine was a DJ (and became quite successful in the end) and agreed to give me lessons from his bedroom deck set-up. Back then it was all very different in terms of the equipment used, these days its a lot more digital, with many using their Macs and other things I know absolutely nothing about. Im my brief DJ era I was using actualy records and learning how to mix them and scratch – manipulating my hand so I could do DJ type moves like the crab – A crab is a type of scratch used by turntablists. It is made from a combination of moving the record on the turntable by hand and quick movement of the crossfader. I studied music to AS level and have played a bit of flute, bass, recorder (didn’t everyone) in my time, so I have some basic knowledge and understanding of music. That said, although I’ve been talking about music a lot over the last few years, it’s been a long time since I had anything to do with the music itself. The space between my last foray into Djing and the knowledge that they say it’s harder to grasp new things the older you get, I did worry how I’d get on during my mini lesson. When my tutor broke down all the buttons in front of me it felt a whole lot less intimidating. Once you locate what are the main and most freqently needed buttons and switches it all seems a lot more manageable. You genuinely feel with a lot of practice that this is something you could get to grips with. After I was given the task of mixing some songs and adding some fun effects while doing so and realised I had the ability to actually do it without completely butchering people’s ears, I was actually considering booking myself a 3 month course to learn properly. I don’t currently have the funds to do it, but it’s definitely something I’m mulling over. After my Dj sess, I joined two other blogger ladies who were having a lesson in Logic and having a go at creating a piece of music via the computer software. I joined in and helped them choose the bass and vocals sounds. I don’t know if we were completely deluded but we thought it actually sounded quite good! I often go to these events on my tod so it’s always a glorious surprise when I see a familiar face that I can latch on to….not literally, that wouldn’t be very pleasant for them. 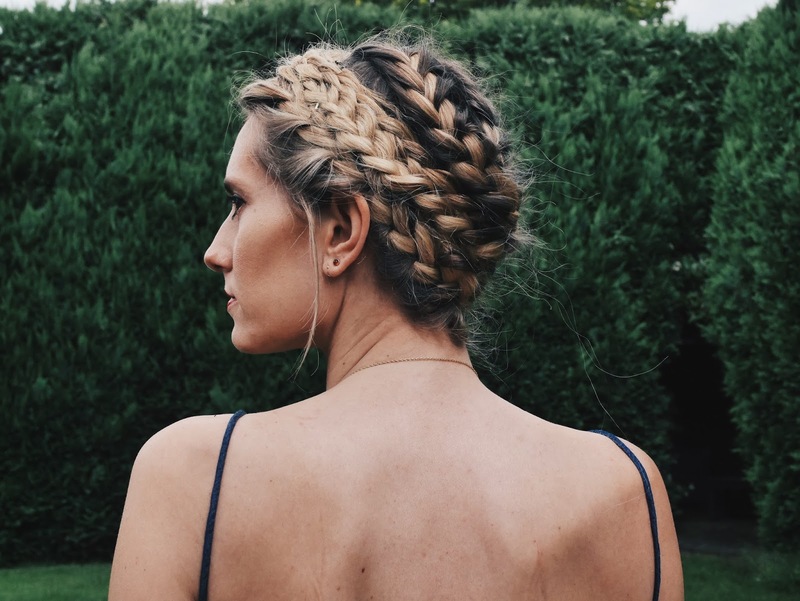 My gal Tori was there on braiding duties as part of Lou Teasdales power tream and she gave me a wonderfully complex take on the milkmaid request. I managed to squeeze two days more out of this hair do, no doubt in part thanks to the products they used. As you guys know, most days I opt for my fairly tired routine of soft waves, so I made sure I got a few pictures of the wondrous braids my pal Tori gave me at the event. Let’s face it, you’re not going to see hair this cool on this blog in a long time. The got2b playful styling PRIMER is £4.07 and available nationwide.